An Investment Policy Statement (IPS) describes the investment philosophies and investment management procedures to be utilized in a portfolio as well as the long-term goals for the Investor. It establishes the Investor's expectations, objectives and guidelines in the investment of the Portfolio's assets and creates the framework for a well-diversified asset mix that can be expected to generate acceptable long-term returns at a level of risk suitable to the Investor. The IPS also defines the responsibilities of both the Investor and the Advisor and encourages effective communication. Each investor that we help has a different objective they are looking to accomplish. Due to these differences in goals we believe the first step of any successful investment plan is to develop an Investment Policy Statement. This document is personalized to each investor’s unique circumstances and is a roadmap to collectively follow throughout the investment management process. Through empirical studies it has been shown that asset allocation explains over 91% of the variation of returns. Thus, at Ironwood Financial we believe that appropriate asset allocation gives our clients the best possible chance of financial success. In this step we decide what types of securities to use for the different asset allocation pieces. 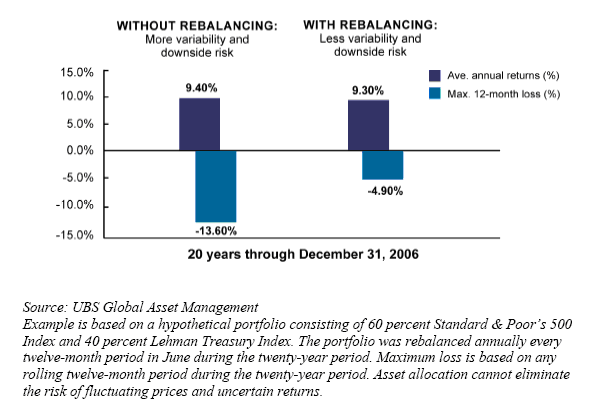 Ironwood believes that both active and passive management styles should be used in an investment portfolio. Certain areas of the capital markets are more efficient than others; empirical studies it has been shown that a passive management style is best in these efficient areas. In other less efficient segments of the market we believe active management can be the best long term solution. Ironwood continually monitors and evaluates the performance of our portfolios and the underlying individual securities. We have procedures which we follow to hire and retain managers in our active management portion of the portfolio. We also monitor the passive investments to make sure they are in line with benchmarks they are trying to replicate. We also provide documents and reports that give performance figures on the entire portfolio and each of the individual securities. These procedures and documents are clearly outlined in the IPS.